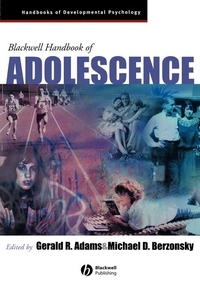 This volume brings together a team of leading psychologists toprovide a state-of-the-art overview of adolescent development. Leading experts provide cutting-edge reviews of theory andresearch. Covers issues currently of most importance in terms of basicand/or applied research and policy formulation. Discusses a wide range of topics from basic processes toproblem behavior. The ideal basis for a course on adolescent development or forapplied professions seeking the best of contemporary knowledgeabout adolescents. A valuable reference for faculty wishing to keep up-to-datewith the latest developments in the field.